Garda Farrell had pleaded not guilty at Dublin Circuit Criminal Court to dangerous driving. Farrell had pleaded not guilty at Dublin Circuit Criminal Court to dangerous driving causing the death of Mrs Core at Fonthill Road South, Dublin, on 28 August 2014. After a trial last December a jury convicted Farrell by majority verdict on an alternative charge of careless driving causing death. Judge Cormac Quinn had advised the jurors they could convict on this alternative charge. This morning Judge Quinn said the degree of Farrell’s culpability was in the lower range. He said the aggravating factor was his speed. The trial heard that after seeing Mrs Core crossing from the far side of the road Farrell failed to slow the car. He later told investigators that he believed Mrs Core would see or hear the patrol car and stop crossing and return to her side of the road. Farrell said he attempted to mount the car onto the footpath on his left but was unable to do so and the left tyre burst. The front right of the car hit Mrs Core and she was pushed onto the front windscreen. Forensic investigators put the car’s speed at the point of impact, following heavy braking, at between 50 to 56 km/h. The speed limit on the road was 50 km/h. He said there was evidence Farrell experienced a “violation of expectancy” where he had expected Mrs Core to stop crossing. At a hearing last month (FEB) Thomas Core, Mrs Core’s son, described his mother as “a singer and a dancer” and “the life and soul of family gatherings”. Reading from his victim impact statement, he said his mother had been fit and healthy for her age and had many more years of her life left. He said his father’s health deteriorated after his mother’s death and he passed away “almost two years to the day she died”. Judge Quinn extended the court’s sympathy to the Core family. He said that while the consequences of the “bad driving” must be taken into consideration they were not the determinative factor. He ordered that Farrell pay a fine of €2,000 as well as pay €5,000 over to the Irish Road Victims Association in the next four months. He set a proposed prison sentence of nine months which he deferred under section 100 of the Criminal Justice Act 2006 where a court can defer sentence under conditions. 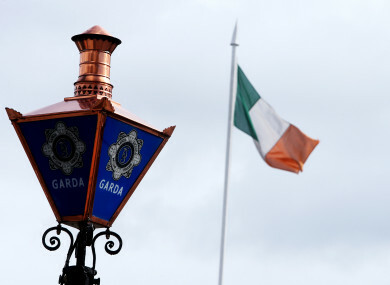 Email “Garda whose driving caused death of pedestrian (75) has nine-month sentence deferred”. Feedback on “Garda whose driving caused death of pedestrian (75) has nine-month sentence deferred”.